Samsung is contemplating on using more premium-feeling materials in its next flagship smartphone, claims an insider familiar with the electronics giant’s plans. With merely two months passed since the launch of the Galaxy S4, reports have already begun circulating that its successor, the Galaxy S5 (because it can’t be called anything else, right? 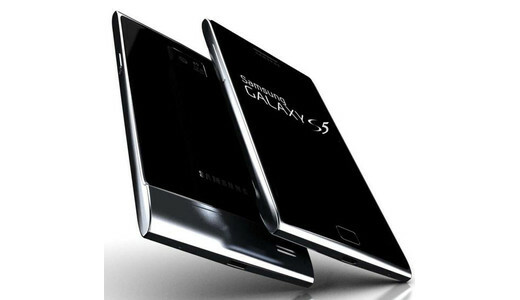 ), will feature a metal construction for the first time on any Galaxy smartphone. According to Android Geeks, who were reportedly tipped by “a trusted source close to the South Korean phone maker”, Samsung will start to use aluminium on its future high-end smartphones and the next Galaxy flagship is highly likely to be the first to benefit from a sturdier, unibody design. It’s believed that Samsung is starting to feel the heat from rival devices such as the HTC One, the Sony Xperia Z and the iPhone 5, all of which use aluminium and/or glass and are widely seen as more premium or ‘classy’ than the Galaxy range. The move to aluminium from plastic is though to be part of Samsung’s “Design 3.0” initiative to make its hero devices more competitive in physical attractiveness as much as software innovations. Of course, a unibody design has its drawbacks, namely the inability to remove the battery, which is bound to affect travellers and heavy users. Also, all of this could be simply conjecture, as Samsung itself said not very long ago that using plastic is what allows it to produce its handsets in the speed and volume required to meet demand. Whatever the case, it will be a while before we will find out what Samsung’s planning, as we don’t expect the Galaxy S5 to be announced for until at least next Spring. Do you think Samsung should make its devices out of glass or metal? Tell us why in the comments section below.